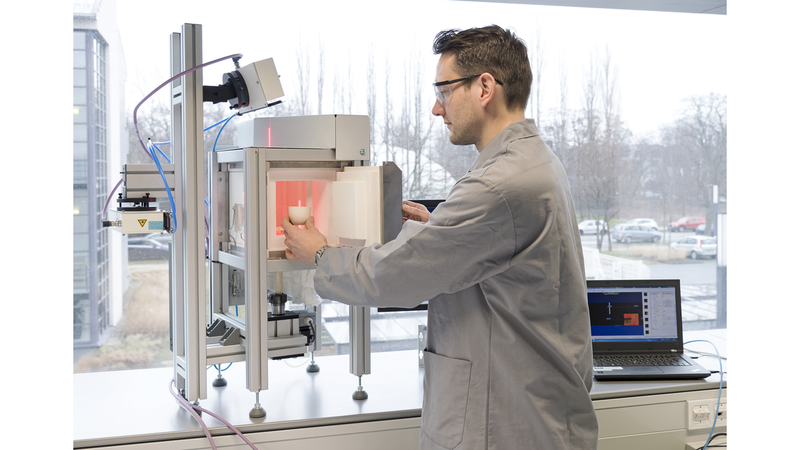 BAM developed a testing device for in situ 3D high-temperature shape screening for ceramic and glass ceramic tapes. The new measuring method uses laser technology at a temperature of up to 1700 degree Celsius. This enables the detection of changes in the material that can occur during the firing of complex ceramic parts.